At least 14 people in West Virginia have died and hundreds more have been rescued from swamped homes in the state's worst flooding in more than a century, government officials said on Friday. The mountainous state was pummeled by up to 10 inches of rain on Thursday, causing rivers and streams to overflow into neighboring communities. "The damage is widespread and devastating," Governor Earl Ray Tomblin said at a news conference. "Our biggest challenge continues to be high waters." Multiple rivers have risen to dangerous heights, including the Elk River, which reached 32 feet, the highest since 1888, Tomblin said. Government officials are focusing resources on rescuing those trapped or swept away by the flooding, he said, adding that some 66,000 residences are without power. The governor declared a state of emergency in 44 of 55 counties and deployed 200 members of the West Virginia National Guard to help rescue efforts on Friday. 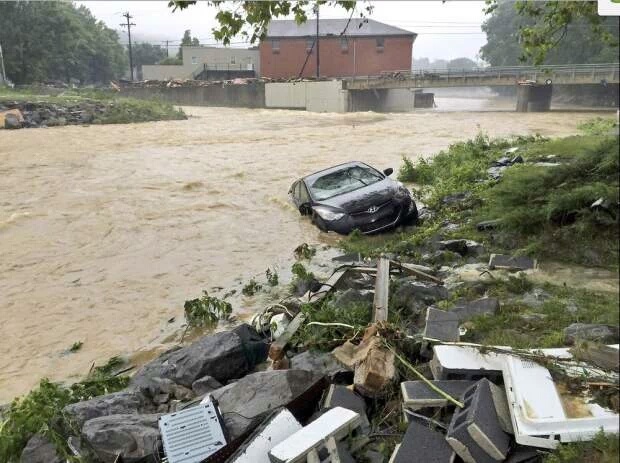 Though rivers were expected to crest by Friday night, the rescue and recovery effort is likely to last through the weekend, said Tim Rock, spokesman for the West Virginia Division of Homeland Security and Emergency Management. "There have been towns that have been completely surrounded by water," Rock said. "People say there is 8 to 9 feet of water in their house. "It's at least into the hundreds forced to get emergency shelter," he said. "Even if you can get back into your home, who knows what kind of shape it's in." West Virginia received one-quarter of its annual rainfall in a single day, National Weather Service meteorologist Frank Pereira said. "It was multiple rounds of thunderstorms that continued to move across the same area, a relatively small area, and the mountainous terrain exacerbated the flooding," Pereira said. Rains eased on Friday with only scattered showers expected, he said. The storms that drenched West Virginia were part of a severe weather system that has swept through the U.S. Midwest, triggering tornadoes.